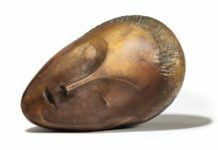 Sotheby’s brought in £50.3 million (about $66.5 million) at its contemporary art evening sale at its New Bond Street salesroom in London tonight, notching a haul that fell squarely between the low estimate of £43.6 million ($57.2 million) and the high estimate of £60.4 million ($79.2 million). 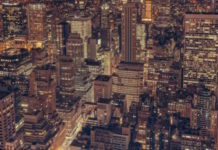 The sell-through rate by lot was a solid, if not exceptional, 88 percent. 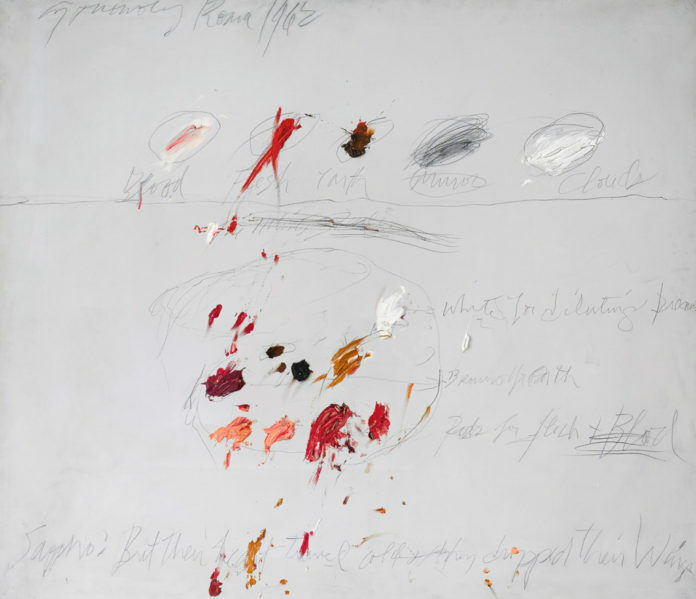 Leading the somewhat sleepy sale was an untitled Cy Twombly from 1962 that went for £6.4 million ($8.40 million) after just a single bidder on the phones and a lark of a bid from members of the Nahmad family came in to save it from flopping. 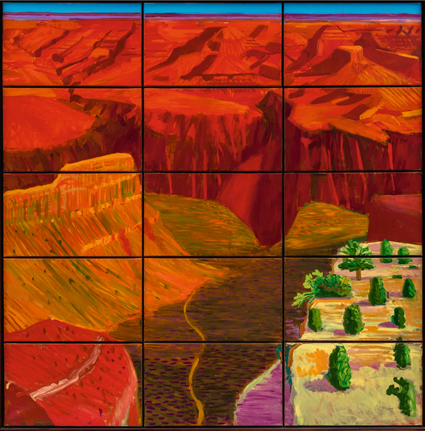 That result was followed close behind by David Hockney’s 15 Canvas Study of the Grand Canyon (1998), which went for £6 million ($7.88 million), solidly above the high estimate of £5 million ($6.56 million) after a bidding from a slew of top Sotheby’s specialists. 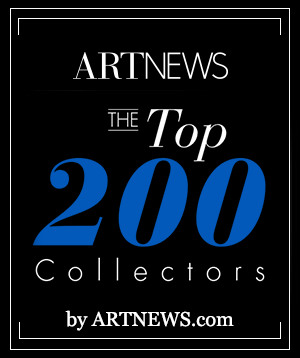 Auctioneer Oliver Barker emphasized the lot’s London connection by noting that it had been in the artist’s well-received exhibition at Tate Modern earlier this year. David Hockney’s 15 Canvas Study of the Grand Canyon (1998) sold for £6 million ($7.88 million). But the sale was marred by the inability of the house to find a buyer for Jean-Michel Basquiat’s Bronze (1982), which was estimated to sell for between £5 million and £7 million ($6.56 million and $11.8 million). Basquiat made the work just months after he completed the untitled piece that sold at Sotheby’s in New York in May for $110 million, a record for an American artist. 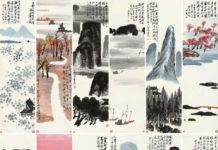 A few lots later came the Hockney, which caused a three-person battle between contemporary art head Grégoire Billault, fine art department chairman Amy Cappellazzo, and senior client liaison David Rothschild. 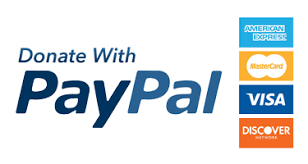 They jousted until Cappellazzo prevailed with a £5.2 million hammer, £6.01 million ($7.89 million) with fees. 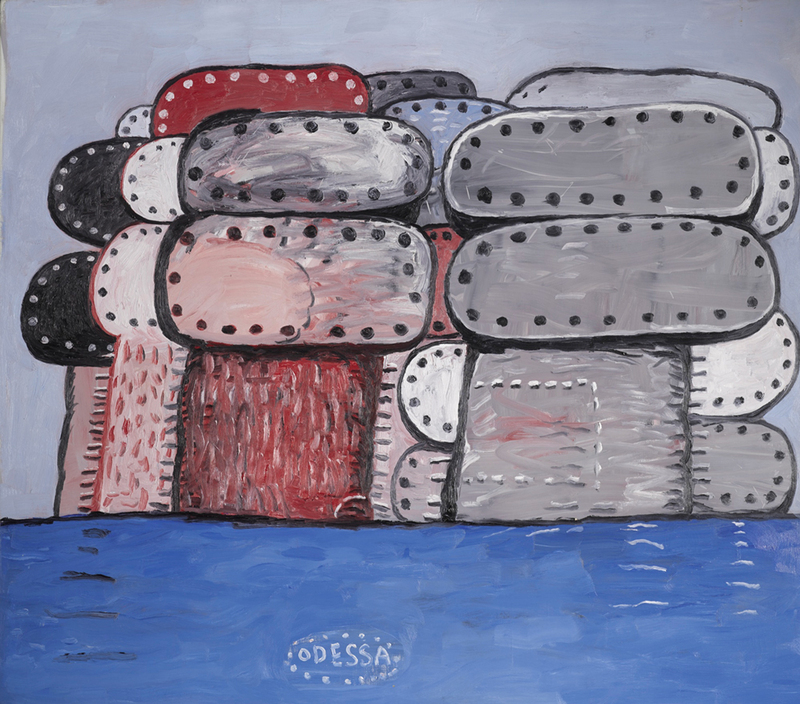 Philip Guston’s Odessa (1977) sold for £3,758,750 ($4.93 million). Three lots later came the Basquiat pass, with Barker heard crickets after opening the bidding. But the temporary panic did not cause the auction to go off the rails. Brancizk snagged Philip Guston’s Odessa (1977) for £3.76 million ($4.93 million), well ahead of the high estimate and good enough to make it the night’s third-biggest sale. And then Josef Albers’s Homage to the Square: Temperate (1957) went for £2.29 million ($3.0 million), not only doubling its high estimate but securing a new record for the artist in the process. And then, even though a disconcerting majority of the auction brass on the rostrum declined to even pick up their phone to talk to bidders on the Twombly, specialist Bame Fierro March came in at £5.2 million, causing the Nahmads to come in at £5.3 million, and after another man next to him came in, March had to go to £5.55 million, right about the low estimate, securing the sale. 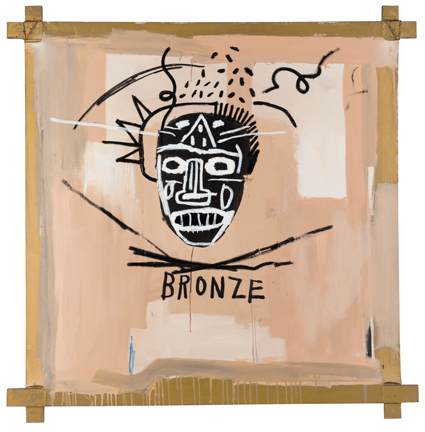 Jean-Michel Basquiat’s Bronze (1982) failed to find a buyer. Though slow, and delayed because of the “In Context Italian Art” sale at New Bond Street that bled well into the 7 p.m. hour here, a few more lots on the back half of the sale saw some serious bidding. When an untitled enamel-on-aluminum Christopher Wool from 1993 went up midway through the sale, Jackie Wachter, who recently returned to Sotheby’s after a long stint at Christie’s, pounced with quick bids, followed by action from Branczik a few spots down. Brancsik’s client got the trophy for £1.57 million ($2.06 million), doubling the high estimate. A few lots later, an Antony Gormley also doubled its high estimate, selling for £758,000 ($994,000). But then a work by Leon Kossoff was a pass, and the sale’s only Francis Bacon was a dud and sold to its commissioned bidder after a collective yawn. Barker was able to sell Andy Warhol’s 5 Deaths (1963) for well under its low estimate of £2.2 million ($2.86 million). 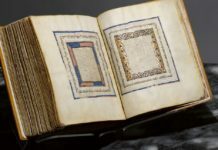 After opening in the mid six figures, it hammered at £800,000 for a with-fee price of £968,750 ($1.27 million). And an untitled Wade Guyton from 2007 also attracted bidding by Wachter, and she was close enough to winning it that Barker referred to the potential buy as “Jackie’s welcome home present.” But at the last minute the dealer Inigo Philbrick swooped in to take the painting from under her nose, moving the bidding up to £450,000, which, with the premium, came to £512,750 ($672,000).